This product requires the base game DiRT 4. © 2017 The Codemasters Software Company Limited ("Codemasters"). All rights reserved. "Codemasters"®, "EGO"®, the Codemasters logo, and "DiRT"® are registered trademarks owned by Codemasters. 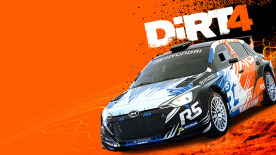 "DiRT4"™ and "RaceNet"™ are trademarks of Codemasters. All rights reserved. Under licence from International Management Group (UK) Limited. All other copyrights or trademarks are the property of their respective owners and are being used under license. Developed by Codemasters. Requires DiRT 4 (base game) to use this DLC.